Yellowstone was a surprise to me. As a man in my early 20s, after a childhood of steady moving (10 schools in 10 years), the last thing I expected to find was a sense of place. Like many young people whose parents moved frequently, my place was with my family. Sense of place was a cliché, and not only did I not expect to find such a thing in Yellowstone, I didn't know I needed it. 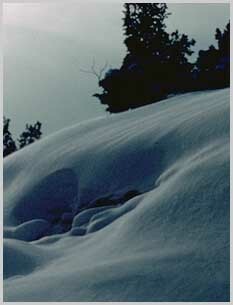 But apparently I did, for within days of my arrival I felt an attachment growing -- a vague comfort with my surroundings. At the same time, growing coincident with this feeling of being home, I found a sense of wonder. Yellowstone spoke to me, sang to me, of a wild, strong, unexperienced, and good life. My previous trips to the West, little more than hasty vacations, had given a hint of this. I'd known for years that the high West had something for me. I'd felt on those earlier trips an attraction, and was vaguely aware of a need to be in the West, but I could never have identified the cause; much less trace it to this joy of surroundings I now felt soaking into me. Not only was I home, I was in love. Had Yellowstone, a hundred years old and thriving, been a person -- a grand old lady, to follow the prevailing cliché -- she would have been amused at this young ranger with his sudden commitment to defend her honor. And, because at a 100 years of age she had seen many young men transformed by her charms, she could have told me that I had a lot to learn. When Yellowstone National Park was established in 1872, America was passionately absorbed in the conquest of a continent. At every turn, native culture and wild nature were being subdued, and natural resources were exploited and wasted at a phenomenal rate. The decade following the creation of the park saw the destruction of the last great bison herds, and the near-destruction of many other Western wildlife populations. Although its founders had only the faintest understanding of the park's eventual values, Yellowstone shone as one of the few bright lights in the conservation movement that was just then beginning. Established to protect strange geological and geothermal wonders, the park very quickly became a wildlife reserve of unprecedented scope. Ever since, Yellowstone has been one of the foremost laboratories in the world for learning how to manage not only wildlife but also wildlife habitat and wilderness landscapes. Management philosophy and policy have evolved continuously since the park was created. That evolution continues today. Fires, once viewed as almost satanically evil, are now accepted as a necessary part of the ecological system; relatively few people seem to have developed a new aesthetic that embraces the stark beauty of a burned forest, but more and more people are at least willing to admit that fires must occur. Hot springs, once viewed as opportunities for intrusive plumbing systems to move warm water to bath houses and swimming pools, are now allowed to express themselves as they will; their mineral deposits, once chipped off by the ton as souvenirs, are now admired solely as marvels of geological architecture. Fish, once stocked and transplanted aggressively to create the best possible fishing with no regard for native species distribution, are now recognized as wild animals in their own right; managers now invest most of their energy in trying to protect or restore the native species to some semblance of their earlier role in the park's ecosystem. And predators, subjected to a persecution of almost religious intensity in the park's early decades, are now prized as both beautiful animals and important elements of a complex ecological community of life. Yellowstone provided us with the opportunity to learn by doing. Each generation of park managers, visitors, supporters, and opponents wrestled with the park's management dilemmas. Because of the underlying goal of the park as a place where nature would somehow be preserved (and who could agree on what that meant? ), we never took control of Yellowstone in the way we did most other landscapes. After the first decade or so, we left the forests unharvested, the meadows unplowed, the game animals unhunted. Our confusion over fire, fish, predators and other things seemed to entangle us in ever more complicated questions about what preserving nature involved. Few things are more illustrative of the intellectual and emotional struggles we've endured than are the wolves. As our attitude toward wolves shifted away from pure hate and toward begrudging acceptance and eventual admiration, the wolf gave us one of our most valuable lessons in humility. We learned the lesson too late to save those early wolves in Yellowstone, but as the modern wolf recovery movement shows, we learned the lesson well. Yellowstone is being closed in on, very quickly, from many directions. The odds increase that Old Faithful will not die a natural death, that geothermal development on the west boundary of the park will sooner or later foul up the tangled pressure systems of the geyser basins, leaving the geysers dead and still, irretrievable victims of human avarice. The odds increase that ranchers, condominium owners, skiers, backpackers, and the rest of us will do in the grizzly bear, and that in a hundred less glamorous ways Yellowstone will be diminished. Those are the odds, but they aren't yet inevitable, and my social conscience demands that I try to help the park. However bad things are elsewhere, we still need the pure and undisturbed, if only against which to measure our general decline. The park serves social purposes in civilization by presenting nature's alternative to human control of the world. But the park is not enough. We do not preserve Yellowstone just to salve our consciences about despoiling other places. 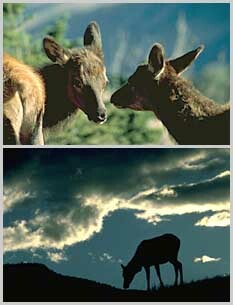 Yellowstone is betrayed if by its existence we justify the abuse of other lands, or other beauties. We cannot apply all the values by which we judge the health of Yellowstone to the rest of the world, but we can hope that the respect we show the earth in Yellowstone will rub off on us when we go back to Fort Wayne, or Birmingham, or Tucson. In our efforts to convince people that Yellowstone is not just another Disneyland, not just another roadside attraction, we must show them that it does more than merely entertain or divert. We must show them that it teaches ecological unity of a sort that can be applied to the rest of the world, that it reveals fabulous uncultivated beauty, and that it enriches our lives as it heals our spirits. It does these things at grave and constant risk to its own welfare. There are unimagined gatherings of elk in Yellowstone in the winter. Most visitors are justifiably excited if they see half a dozen in some high summer meadow, but when the snow comes the scale changes dramatically. The elk bunch up in clearings, gradually moving downhill and generally down the Yellowstone drainage as the snow deepens. As they descend into the valleys they can easily be seen from the roads. By January several hundred can be seen at once, and by March some groups exceed a thousand. We drove out past Tower Junction one January Sunday, counting scores of elk in most clearings. In the Lamar Valley, not far past the old buffalo ranch, we almost missed a huge herd spread across the flats in the fork of the Lamar River and Soda Butte Creek. Hundreds, close to a thousand, were bedded there in the sage and scrub. The closest were at least 150 yards off, but when we stopped the car and got out, they rose as one and began to move away up the valley. Our curiosity burned up thousands of hard-earned calories as the elk trudged heavily through the snow. Crestfallen and embarrassed, we drove off as quickly as possible, wondering how much time and energy they spend each winter just keeping a comfortable distance between themselves and people. In a rough winter followed by thaw-and-freeze-crusted spring snows, 15 percent or more of the herd might die. Fifteen percent of 20,000 elk is a lot of meat for winter-lean grizzlies, coyotes, ravens, eagles, and countless smaller scavengers, but there is more to the statistic than pounds of meat. First, there is the general lesson made in so many ways in national parks, that "waste" as a concept we apply elsewhere does not apply here; waste can only occur where something is not put to use, and elk meat is cranked right back into the system by scavengers as large as grizzlies and as small as bacteria. Second, in appreciating the elk for all they are, the statistic is particularly useful. 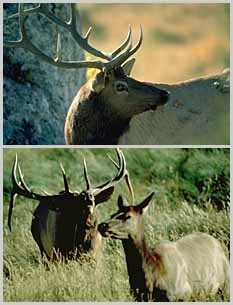 These elk are more than singular individuals, some of whom die each year. We must not forget that the individuals, for all their regal grace, are not themselves the most poetic point being made by this herd. That point is the greater functioning of the whole population, the thousands of them that move and shift across this northern range and Yellowstone's other elk ranges like a loose-jointed amoeba, a faint million-acre organic tide that ebbs and flows with the seasons, challenging our understanding as wildlife managers and our imaginations as thinking beings. Paul Schullery first worked in Yellowstone as a seasonal ranger in 1972. He has spent about half of the time since then holding a variety of positions in the park, living and working there. A historian by training, he has written extensively on the park's history, natural history, and management issues. Some of his books are listed below. He has written for many popular and technical publications, including The New York Times, Encyclopedia Britannica Yearbook of Science and the Future, BioScience, Outdoor Life, National Parks, and American Forests. Schullery is an adjunct professor of American Studies at the University of Wyoming, and an affiliate professor of history at Montana State University. In recognition of his work as a historian and nature writer, Montana State University presented him with an honorary doctorate of letters in 1997. In 1998, the University of Colorado Center of the American West presented him with their Wallace Stegner Award, given for a sustained contribution to the cultural identity of the American West. Scullery is an avid hiker, fly fisherman, photographer, and wildlife watcher, and continues his writing and historical research. The narration of "Yellowstone: America's Sacred Wilderness" was primarily derived from the following books: Mountain Time and Searching for Yellowstone. Editor of Old Yellowstone Days. Boulder: Colorado University Press, 1979. Author of The Bears of Yellowstone. Third edition, Worland, Wyoming: High Plains Publishing Company, 1992. Editor of The Yellowstone Wolf: A Guide and Sourcebook. Worland, Wyoming: High Plains Publishing Company, 1995. Author of Mountain Time: A Yellowstone Memoir. New York: The Lyons Press, 1984, with trade paperbacks from Simon and Schuster (1988), Roberts Rinehart (1995), and The Court Wayne Press (2000). Editor of Yellowstone Bear Tales. Niwot, Colorado: Roberts Rinehart Publishers, 1991. Co-author with John D. Variety of Yellowstone Fishes: Ecology, History, and Angling in the Park. Harrisburg: Stackpole Books, 1999. Author of Searching for Yellowstone: Ecology and Wonder in the Last Wilderness. Boston: Houghton Mifflin and Company, 1997. Author of Yellowstone's Ski Pioneers: Peril and Heroism on the Winter Trail. Worland, Wyoming: High Plains Publishing Company, 1995.